A word that strikes fear into the hearts of every business owner. A word that calls to mind a ritualistic dance of calculators, spreadsheets, legal pads, and tears. A word that – despite its actual length – is considered a four letter word to my husband. It’s certainly not a word that one would associate with a wedding. No, when you think of a wedding you think of flowers, cake, candles, fancy clothes, hard partying, and close friends. 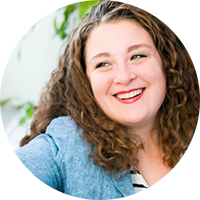 But budgeting is the number one thing that clients, potential clients, and engaged friends seem to be most interested in when I speak with them. Now, I may not have anything particularly earth-shattering to add to the canon of Wedding Budget Knowledge, but I wanted to tackle why I think “budgeting” remains such a mystery despite being a (relatively) simple math problem. If you Google “how much does a wedding cost,” (Go ahead a do it – I’ll wait), the very first-page title of the very first result plainly states “$25, 656.” Well there you go! You have the answer! Even if you do a little more poking around, you will find that the AVERAGE wedding cost in the US is $27K, $28K. Except… that’s not the whole picture. As we all learned in grade school, “average” just means adding up all the numbers and dividing them by the total quantity of numbers we added. According to the Real Wedding study done each year by The Knot, the most expensive place in the US to get married is Manhattan ($76,678) and the least expensive is Alaska ($15,504). The average of those two numbers is $46,091 – a completely unhelpful number for an Alaskan couple, and a totally useless one for New Yorkers. This is what happens when you look for a simple answer to a complex question. I have this conversation every. single. time. Most people have never planned a wedding before, so they really haven’t considered every last penny and where it’s going to go. They also hold assumptions about what is and isn’t included in that “wedding budget” number that differs from couple to couple. When someone says they’re, for example, “$40,000 all-in,” I never quite take them at their word with “all.” When budgeting, you also have to figure out exactly what you’re budgeting FOR. Everyone comes from a different financial background. Some people have a savings account with a lump sum reserved for their wedding. A lot of people do not, and they are Frankenstein-ing together a budget from 6 different sources. Some people are picking a number and trying to spread it out over a long period of time, fingers crossed that nothing happens that will require them to dip into their monthly wedding money. So it can be very difficult to figure out how much to spend on the catering when you don’t have a bottom line per se. The best thing you can do for yourself is to budget high. Any business owner will tell you – if you need to make $100 today and spend $100, then plan on making $50 and spending $200. Then your plans more accurately reflect your challenge – it’s easier to spend money than it is to make it. For your wedding budget, if you think something is going to cost $1000, then budget $1500. When you find that perfect vendor who only costs $1150, you’ll be happy you SAVED $350, not went $150 over budget. There is a certain reality television show that I cannot stand. (Truth be told, I can’t stand any of them, but the fact that this one is a wedding show makes me especially angry.) I won’t mention the show or the celebrity wedding planner’s name, but the premise is this: let me poke fun at your silly wedding plans, perform a hostile takeover of your wedding, and execute a much better wedding instead. In the (admittedly) few times I’ve watched this show, I’ve never heard them say these words – “The silly wedding you WERE planning only cost $10,000. I’m going to plan a hugely upgraded wedding that costs $50,000.” Instead, they shame couples for picking up their favors at the dollar store or wearing a hand-me-down dress. They splurge on everything and the end result – while usually stunning – would have been completely unrealistic given the couple’s initial budget. So here we are now, bombarded by constant reality TV and wedding magazines laced with gorgeous centerpieces and towering cakes. So you develop the expectation that it’s these details you want, without taking into account the reality of your financial means. I have my pricing right on my website. I’ve been told this is a mistake – that my competition can see what I charge and underbid me. My opinion is that A) people don’t have enough time to live their lives, plan a wedding, and contact a hundred vendors just to find out which ones they can afford and B) I don’t want to field uncomfortable phone calls from couples who want me to plan their wedding, soup-to-nuts, for $200. 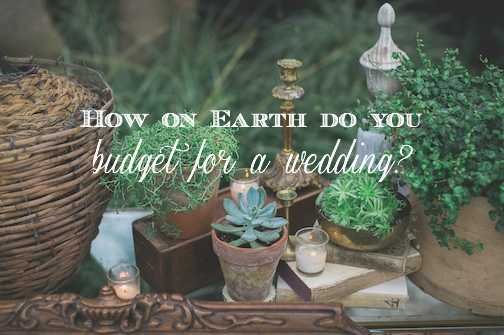 But now you’re planning a wedding and you want to do some quick research and find out how much you should budget on catering, photography, or flowers. Unfortunately, you won’t be able to find prices for any of those things on local vendor websites. I know photographers who won’t get out of bed for less than $9K, but I don’t recall seeing that published anywhere. And I understand you can’t just publicize how much someone’s flowers might be because every wedding design is different. But it sure does make it hard for couple’s to figure out how much to set aside. Let this be my final reason. You are having a hard time budgeting for your wedding because you are embarrassed by the actual dollar amount you are going to spend. Whether you’re embarrassed by how little money you have, or you’re embarrassed by how much money you have, either way; Someone, somewhere has made you feel like the amount of money you have is wrong. So let me say this – Spend as much as you want to spend and can spend, not a penny more or less. There is a reality to planning a wedding. If you and your family always imagined a big, blowout affair at a cool museum, entertaining 200 of your closest friends, there is a certain price tag. If you prefer an intimate backyard wedding, catered by potluck because you truly love your Aunt’s BBQ and couldn’t imagine it any other way, then do it. But whatever you do, don’t consult your co-workers or cousins about how much they think you should spend on your wedding any more than you would ask them to decide who you should marry. And don’t let vendors pressure you into spending more than you want or wedding media into thinking your wedding isn’t good enough if it didn’t cost $200 a head. Figure out what you want, figure out what you can afford, and do that. The end. 5th Ask to see the images from the wedding (start to finish). thoroughly, and make you feel welcome to ask more.